Give a gift of handmade cheer with this card, tag and bag set. Pattern comes with instructions to make a matching card, card box and tag. 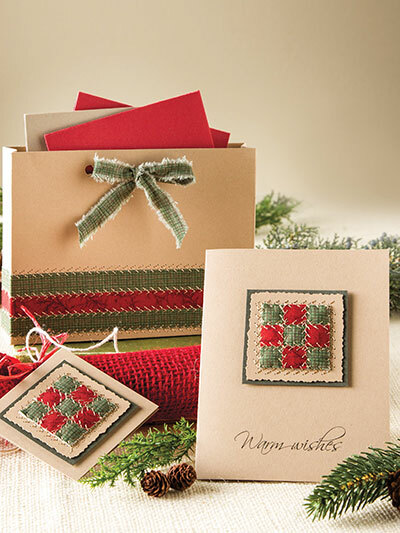 This e-pattern was originally published in the Happy Holidays special publication from CardMaker magazine.